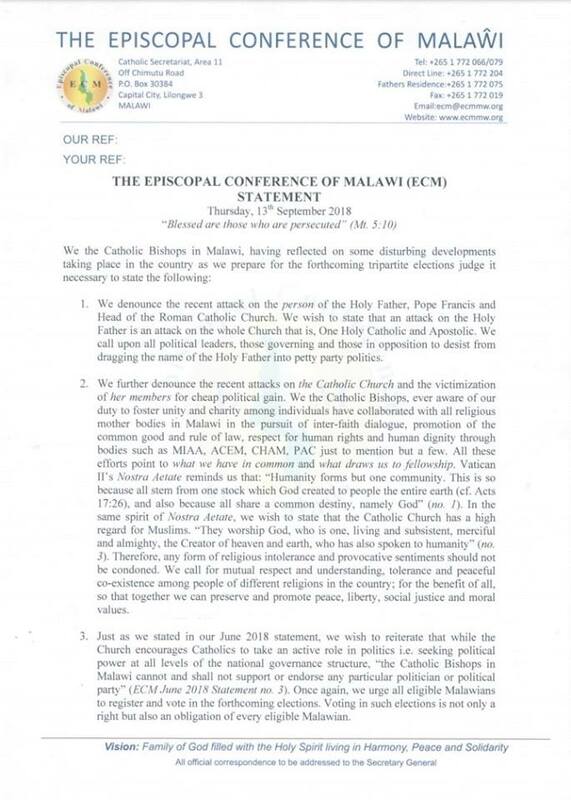 Catholic Bishops under the banner of the Episcopal Conference of Malawi (ECM) have attacked the ruling Democratic Progressive Party (DPP) for dragging the head of Roman Catholic Pope Francis into party politics. DPP’s Deputy Director of Youth Hophmally Makande recently attacked Pope Francis at a rally held in Blantyre by Kondwani Nankhumwa. Makande is on record to have said that the Catholic leader Pope Francis whose real name is Jorge Mario Bergoglio must resign first because he is too old to govern the state of the church than President Professor Arthur Peter Mutharika. “A Dausi muli pompano, anthu akuti a Mutharika atule pansi udindo chifukwa akula, Papa alindi zaka 10?, Papa ali ndi zaka 10?. Papa ndi wankulu kuposa Mutharika. (Mr. Dausi your right here, people are saying Mutharika must step down due to old age, is the Pope 10 years old? Is the Pope 10 years old? Mutharika is younger than the Pope so he will not step down unless Pope does,” said Makande. In a statement issued on Thursday, the Bishops said an attack on the Holy Father is an attack to the whole Church, one Holy Catholic and Apostolic. 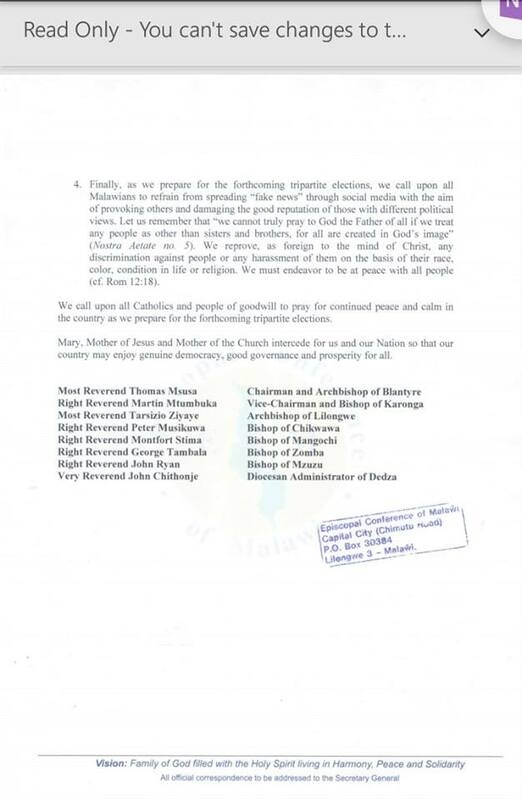 “We call upon all political party leaders, those governing and those in opposition to desist from dragging the Holy Father into petty party politics,” reads in part the statement.